My last post was a lament over lost arts, over how much of our craft / art heritage we lose over time. Reasons are myriad: failure to document, failure to generate interest, bad teaching. There are reasons related to cost, dearth of materials, lack of time. We can also talk about need. 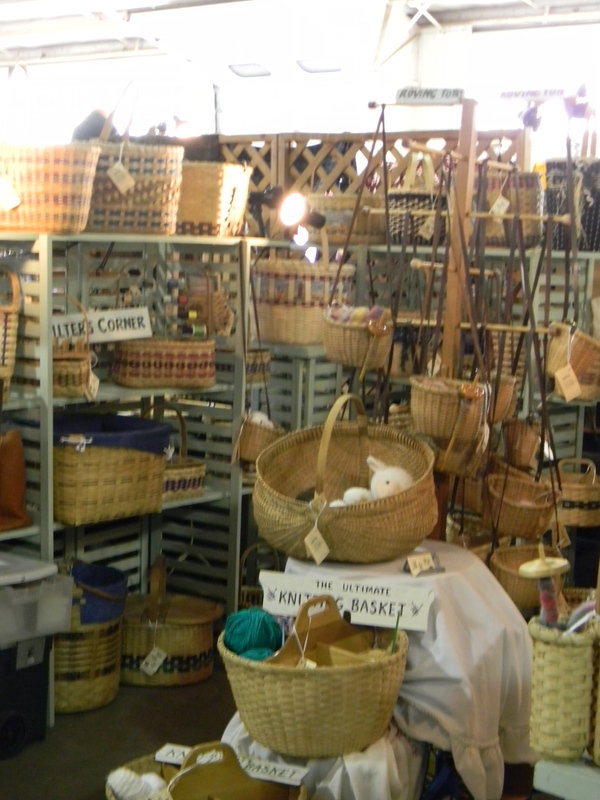 We simply don’t need many traditional craft products like we once did. Tastes change, new technologies replace old ones. Once, we relied on horse travel and we had a need for blacksmiths. Horses were replaced by cars and now we have a need for mechanics. Once you could find a blacksmith in nearly every town. Today, how many do you know? What fascinates me is that we still have blacksmiths at all. 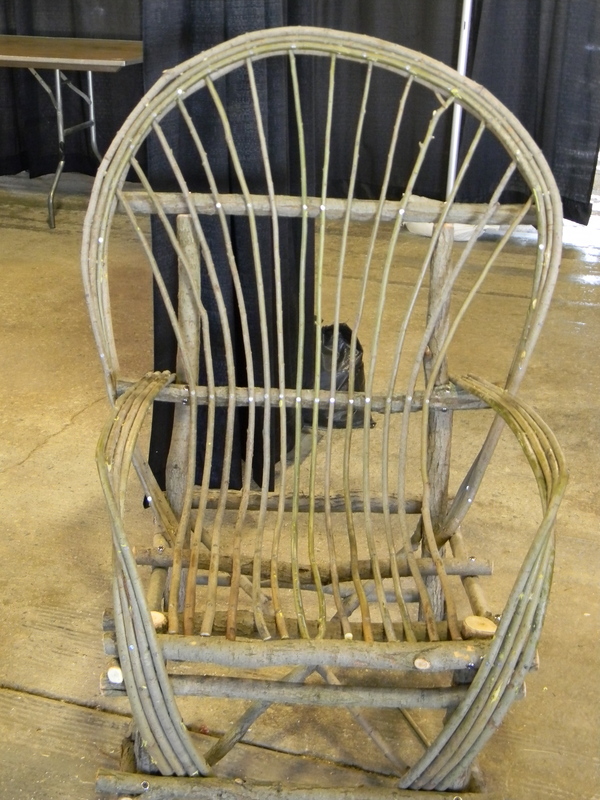 We still have people who make bobbin lace, who paint china, who weave seats with slices of cane. Why do people do these things when they could simply go to the store and get a length of lace or a teacup or a chair? In my post, I said there was value simply in the doing. I still think this is true, but it can’t be the entire answer. If it was just about experiencing satisfaction in the doing, then we could stop at taking out the garbage, making the bed, and dusting the lampshades–all those mundane tasks that need to be done: we could do them and feel satisfied and we wouldn’t have to take up rare craft at all. I’ve been pondering this for two reasons. A friend of mine recently asked me why I knit. The way he put it suggested to me that he thought knitting was simply about the amassment of sweaters, gloves, socks, and scarves. At the end of my life, I could look at this pile of garments and feel good–or maybe superior?–over the sheer size of the wool mountain I’d built. Clearly, this guy doesn’t knit, but he was sincere and his question struck me. It had never occurred to me that someone could not see the value of knitting. He thought it was about accumulation, like collecting records or paperweights. 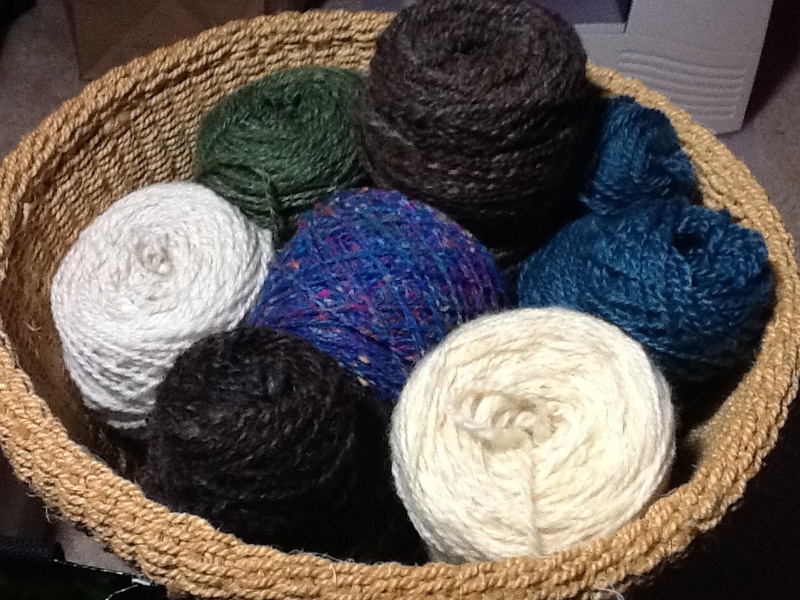 Yarn stashes aside, knitting has very little to do with collecting. It’s visual, it’s tactile, it’s practical. Beyond this, simply ask any knitter: you’ll hear about self discovery, meditation, self-expression, the challenge of learning, and the joy of creation. It’s this last idea–the joy of creation–that struck me as I was engaged in conversation with another friend about the ornamental clothing of the Masai. Why do we embellish clothing? Or more broadly: why decorate? A thing can just be a thing. It doesn’t need rhinestones to make it purposeful. The rhinestones do not add to a thing’s utility. Rhinestones are extra. So why add them? If we want to look at this from an economic standpoint, the answer is clear: decoration adds value. We pay more for decorated things. Part of that value is reflected in the artist’s time and materials. Talent also adds value. We pay premiums for well decorated things and even more for well decorated things that are scarce. But what if you remove the market? It turns out that people still decorate. Even with no economic incentive, people will still make things beautiful. It’s like we can’t help ourselves. I’m thinking here of the thousands of people who–right now–are tinkering away at their craft without any hope of selling what they make. In fact, selling their work may never even enter their minds. One might say that we decorate as a form of self-expression. Okay. But this cannot be–or shouldn’t be–the only reason. As proof, I submit my poetry students. Years ago, I used to teach creative writing to college students. In writing workshops, students share their work with each other and offer critique. Every semester I had students who would say, “It doesn’t matter that you don’t understand my poem because I understand my poem and I wrote it for me.” To which I would ask, “If you only write for yourself, why are you in this class?” If we write a poem that’s only meant for our eyes, then the poem can stay in the diary forever. Once we go public, even classroom-style public, we are writing for a reason beyond ourselves. We have pushed beyond our solipsism. We share what we decorate because we long for communion. It is only in communion that we know who we are. It is only in communion that I see myself reflected in something bigger. Craft takes us out of ourselves. This is why I’m worried about the loss of our craft /art heritage. If I have to go to a museum to understand what a craft had to say about its people, that means it is no longer a living source of communal understanding. It speaks, but from out of the past. Or–my even bigger fear– it could be quite relevant today–but somehow we lost our connection to it. We failed at passing it down because we didn’t write about it enough, we didn’t expose enough people to it, we didn’t teach it well, or we just plain forgot. Maybe we even thought it was someone else’s responsibility. 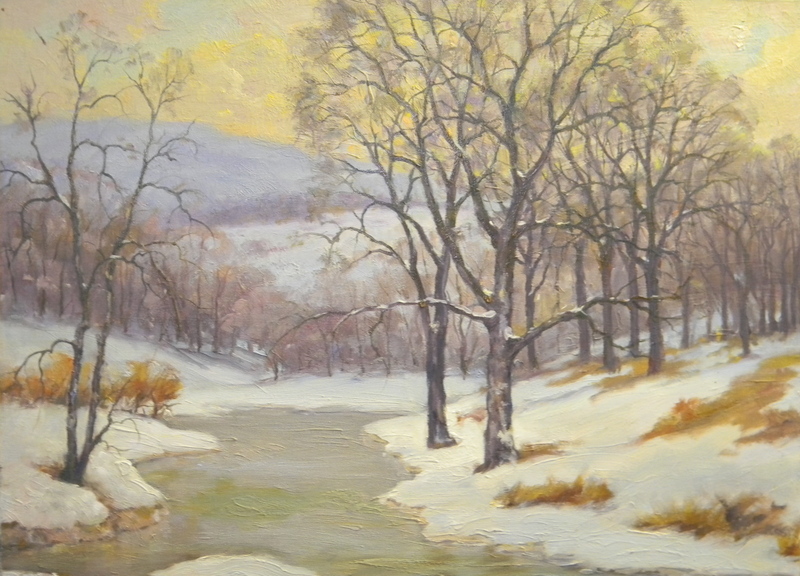 My dad, Max Ranft, made his living as a fine artist. He really lived it. He had a studio. He taught life drawing. He sketched on every scrap of paper. He taught me how to draw. He taught my brothers. He set up his easel in the snow. 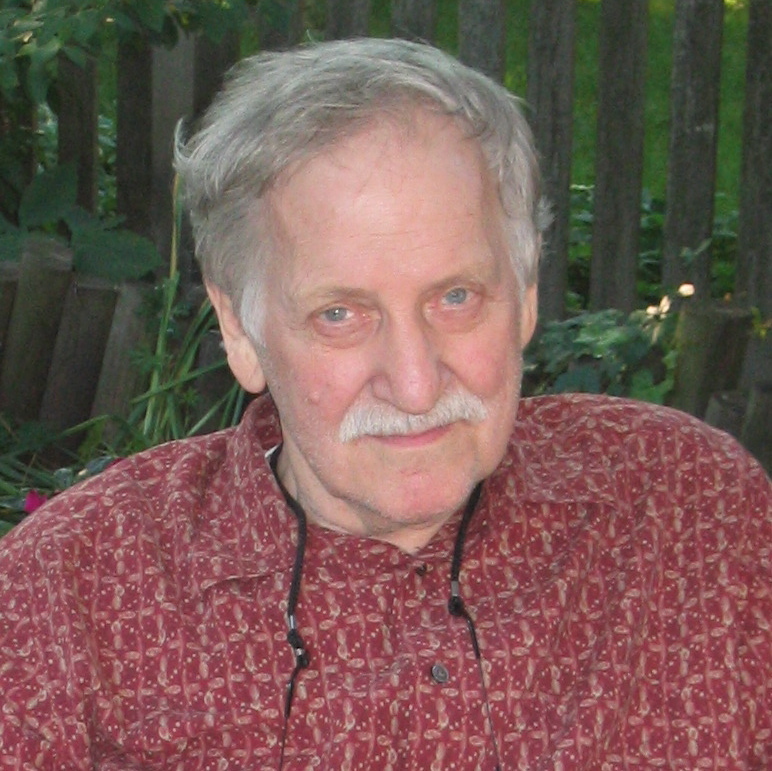 He trekked through the forest preserves and churned out landscape after landscape after landscape. Before he got his job at J. Walter Thompson, he traveled the Midwest doing church murals. And he is one of the only people I ever met who knew–I mean really knew–how to draw the human figure. He hated working from photographs, whether he was painting a portrait or a bridge. The light isn’t real. The shadows aren’t real. The colors are not real. Whatever he was trying to convey was not containable in a snapshot. He needed more than that to say what he had to say. I remember when I finally got it. He was painting, I was sketching. I could see him from where I sat, measuring, looking, mixing, adjusting. We were out there for hours, a beautiful spot by a lake. The birds, the sunshine, the sound of leaves against the wind. I realized my father spent a good deal of his life observing nature. I thought he was just the guy I saw at dinner. You know, eating. Getting mad at world news. Fixing the gutters. But what I realized by the lake was that what was blue or white to me was not to him. He’d cultivated a way of seeing, a way of knowing the natural world that most people don’t know. He knew stuff, unique stuff, and he was trying to pass this stuff along to me. Today he has Alzheimer’s. Lately, I’ve been thinking a lot about lost arts. If there’s someone in your life with Alzheimer’s, then you already know what I’m going to say. Everyone’s personal or family disease is important: it makes its own strong and particular mark, it takes you down paths you don’t think you can walk. Alzheimer’s–I’ll venture to say–is one of the more stranger ones. What is it–what!–that allows him to play chess (and win) but not remember what he said five minutes ago? Not long ago, we had a visit from the great nephew of my dad’s teacher, Louis Grell. Richard is doing research on his relative for a book and my dad was one of his closest pupils. (If you’ve ever been to the Chicago Theatre on State Street, you’ve looked at the murals inside–those are Grells.) My dad revered Grell. Mister Grell, as he called him even well after he died. I grew up with stories about Grell and the impact he had not only on my dad’s art, but on his thinking. It’s all lost. My dad couldn’t recall anything significant about his apprenticeship to this man. And no one in my family had written anything down. You think the stories you have in your youth are the stories you’ll have your whole life. They are the stories you live with, that shape you, that make you who you are. If you forget a detail, no matter. The storyteller will tell the story again. You can have the story back in all its vivid detail any time you want. Or so you think. So much else is gone, too. I’ve been wracking my brain to remember what he taught me about the color of clouds, about how to paint a sky, about how to measure the human form. What was I supposed to do with half tones? What exactly was I supposed to look for when the weight was on the opposite hip of a figure at three quarter turn? What did you mean when you said to soften the shadow? These are the stories I heard every day of my youth. Of everything he taught me about art, I internalized only maybe ten percent. The rest is gone. Just gone. Maybe you know some people who practice these arts. Maybe you practice some of them yourself. But let’s face it. These crafts are endangered. My list has a decidedly Western bent, but that’s the culture I know. Please send me more and I’ll add them. Recently, someone said that she struggled with deciding when to consign an art to history. This really took me aback. I don’t want to lose any of these arts to history. But then I thought how many people I know who are looking to buy a hand-tatted collar. Zero. Who wants a hand-carved bed? Who needs their books rebound? There are reasons we don’t practice these crafts like we once did. But, gosh–is that the reason to let them go? Zip? Gone? Disappear forever like my father’s memory? Maybe I’m too emotionally invested here. If I am, talk me out of it. But somehow I don’t think so. Besides all the practical use I get from my spinning wheel, there’s another reason I make yarn by hand. I do it, damn it, because there’s value in the doing. Like my father standing in the forest, under the sun, measuring, mixing, creating what only he could create out there that day, there’s a knowledge in the doing that only comes from doing. Do we really want to lose that to history? Really? Fibersheds and the Work of Rebecca Burgess. To use her words, a fibershed is a “geographical landscape that defines and gives boundaries to a natural textile resource base.” Burgess founded the first such network in California after she spent a year of seeking out, making, and wearing only clothes made from natural fibers and dyes grown and made within 150 mile radius of where she lives. Think about that! Her work has inspired new fibershed networks around the country and even internationally–all with clearly established boundaries from which all labor and materials must originate. Read her blog or visit her profile in the August/September 2013 issue of American Craft. As spinners, we need to think more about this concept. American Sheep Industry Overview. Not enough spinners know about the state of the American sheep and wool industry. They don’t know, for instance, that flock numbers are in slow decline. They don’t know how hard it is to raise sheep, that the flockmaster often struggles in times of drought or flood, and that these conditions impact the price of the wool (or even the lives of the sheep). They don’t know what goes into raising bummer lambs or keeping the sheep away from thistle or pooping pigeons in the barn. However, if we’re serious about sustainability and buying local, this is exactly what the spinner should know about the wool she spins. Spinning in the Grease. I love this technique, but it makes most spinners go eew. They think it’s messy (yes!) and greasy (yes!). Many spinners think you can’t get beautiful results (wrong!) or that you can’t wash out all the grease (wrong!). Spinning in the grease yields beautiful, wearable, soft yarn. It’s an especially nice technique for anyone who lives in an apartment or simply doesn’t have the space to wash and dry a whole fleece. It’s my preferred spinning method and I’d like to see more spinners use it. How to Pick a Fleece. Most spinners pick a fleece based on the ooh factor. We react to color, softness, and price and that’s about it. But go to any fleece judging contest with a knowledgeable judge and you’ll quickly learn there’s a lot more to it. A lot. Handle, staple length, second cuts, skirting, luster, crimp, breaks–all these factors should go into your evaluation before you buy. I was lucky with my first fleece purchase. I didn’t know a thing: I simply purchased one that looked nice and was affordable. Thankfully, it made beautiful yarn. But my second and third fleeces weren’t so wonderful because I was still buying based on emotion, not evaluation. Once I began my fleece education, I based my purchasing on data, bought better fleeces, and my spinning improved as a result. The Hackle and Diz. Drum carders are great if you can afford them. A good hackle and a strong diz will do the same job at a much more affordable price–and they’re a lot more fun to use. Why doesn’t anyone use these tools? Just some ideas, Spin-Off. Take ’em or leave ’em. 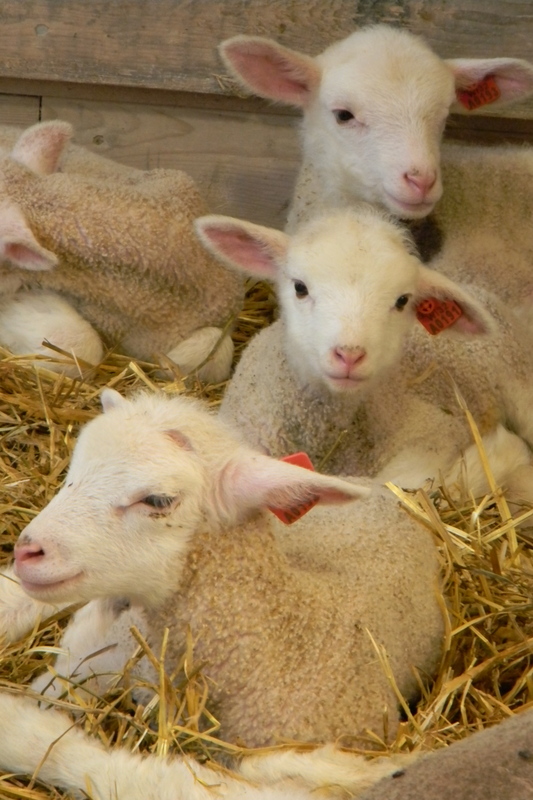 With the Wisconsin Sheep and Wool Festival coming up this September, there’s more than enough to fantasize about: yarn, fleece, sheep, tractors, farm equipment, and plenty of 4H events. I’ve been a regular since 2004. In Chicago, quality yarns are easy to find. Try finding a fleece. A good one. At this festival, I always go home with a beaut. You’d think that as an avid hand spinner, I’d be fairly near to heaven, dreaming about the great fleece in my future. Nope. 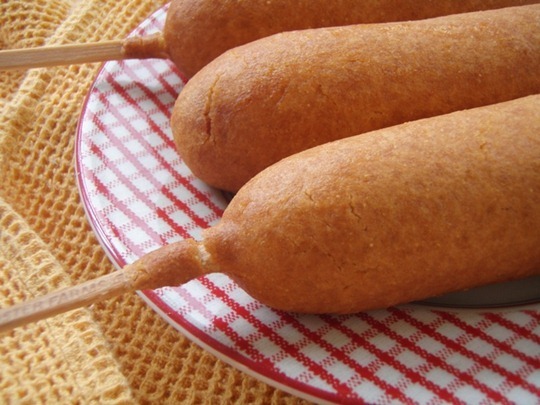 This year, I got just one thing on my mind: corn dogs. Not just any corn dogs. I’m talking about hand-dipped corn dogs, made while you wait. Oh, my stars. Have you ever had one of these? My first was at last year’s festival. When the line at the lunch counter was just too long, I decided to take my chances at the food cart outside. That’s where I found these golden delicacies. Creamy cornishy hot doggie goodness. Like night and day from the stuff I’d had before–what I thought were corn dogs, now clearly understood as impostors. There ought to be a law. Here in Chicago, food truck owners are struggling with the city council, which just passed an ordinance allowing them to operate, but they must remain beyond a 200-foot radius of any brick and mortar restaurant. The food truck owners complained that this made it nearly impossible for them to operate, especially downtown. At first I thought, hey, restaurant owners pick their sites with care. They have a right to operate without a food truck parked in front of their door, taking all their business. The food truck has the luxury of mobility. The brick and mortar restaurant does not. I guess you could say that no lease owner is protected from competition. What prevents a competitor from moving in right next door? I rent an apartment. I have no control over who lives next to me or over me or across the hall. If I don’t like it, I can move. But really, something about this perspective doesn’t seem quite right. Why is the burden on me to move? I’ve been here a long time. I’ve established a life here. Is it really fair to the restaurant owner who has worked hard to establish a clientele and a place in the neighborhood when a food truck parks outside its door? My guess is that food truck owners don’t want to cause problems. They want to establish a tradition, as the Chicago Food Carts blog puts it, “that other great cities like New York, Los Angeles and San Francisco have had for decades.” My jones’n for a hand-dipped corn dog has made me think maybe it wouldn’t be half bad to ease the restriction. From what I’ve read, corn dogs are rather pedestrian fare for food trucks these days. They probably wouldn’t even sell corn dogs. They’d probably sell corn duck sausage or corn fritters with chicken, spinach, and asiago. Well, if you can put it on a stick, I guess I’ll try it. Here’s hoping Chicago can work this out. Don’t make me wait once a year for something so good. 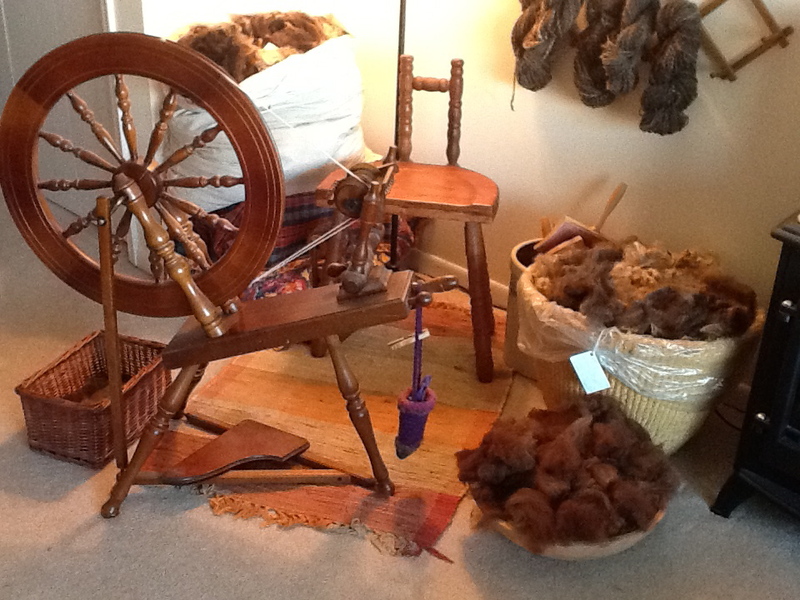 If you really get into hand spinning–if it becomes more than a means to an end (cheap yarn! ), if you find yourself at summer parties wishing you had brought your wheel instead of potato salad–if this is you, then at some point you’ve probably fantasized about owning sheep. I sure did. The desire to own sheep is something I’ve heard a lot lately, even among people who admire spinning but don’t actually spin themselves. Some of them don’t even knit or crochet or weave. They just want sheep. I understand. Once I spun my first fleece, I started thinking about how nice it would be to have a small spinning flock of one or two breeds, maybe even rare breeds. Sure, we lived in a condo, but I saw this as a surmountable problem. We wouldn’t always be living in the city. Someday, we would move to the country. We would buy land, maybe a small hobby farm where I could live out my dream of raising sheep, spinning, and knitting and–apparently–living off my husband’s job, whatever that was going to be in this new rural landscape. Yes, I would raise sheep. I knew it was a big job, that you couldn’t just leave for days on the spur of the moment, that you needed to give yourself over to hard, physical work. Inside, I knew I was tough; I could do it. In anticipation of this future move, I decided to study up. I devoured Sheep! magazine. I learned what I could from books, the basics of feeding, fencing, sheering, even birthing and predator control. I learned about breed characteristics and talked to breeders about the breeds that grew wool I liked to spin. I knew I’d need a lot of hands-on training before I could handle a flock of my own. And then I learned the biggie: sheep die. It’s true. They die from all sorts of things and once they die what you have is a big dead sheep. I was ready to run out in the middle of a cold spring morning to help a ewe give birth. I knew about parasites and scrapie and bluetongue and foot rot. Actually, there’s a host of horrible sheep diseases that I won’t mention here, but I figured I could deal with them with the help of a good vet and vigilance. What I’m saying is this: of course I knew all along that sheep die. 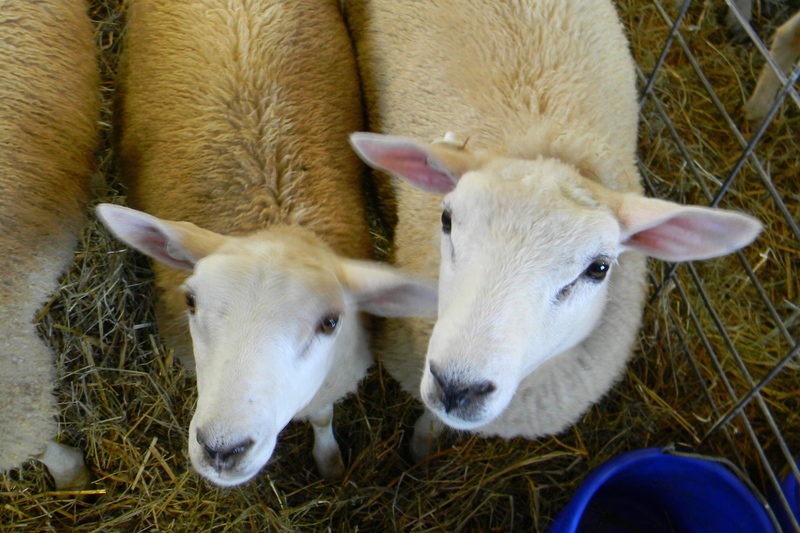 What I realized was that I really wanted a flock of pet sheep that lived in my barn. Flockmasters who are close to their sheep talk about how hard it is to lose them. No one wants to lose an animal. You can tell how much it matters when you get a fleece from the bloodline of one they really loved. They want you to make something wonderful from the wool because it contains the legacy of a special animal. If you ask, they offer you fond memories, and I treasure these fleeces because I’ve been made a steward of the legacy they carry. As great as it would be to have a spinning flock, I know I just couldn’t do it. 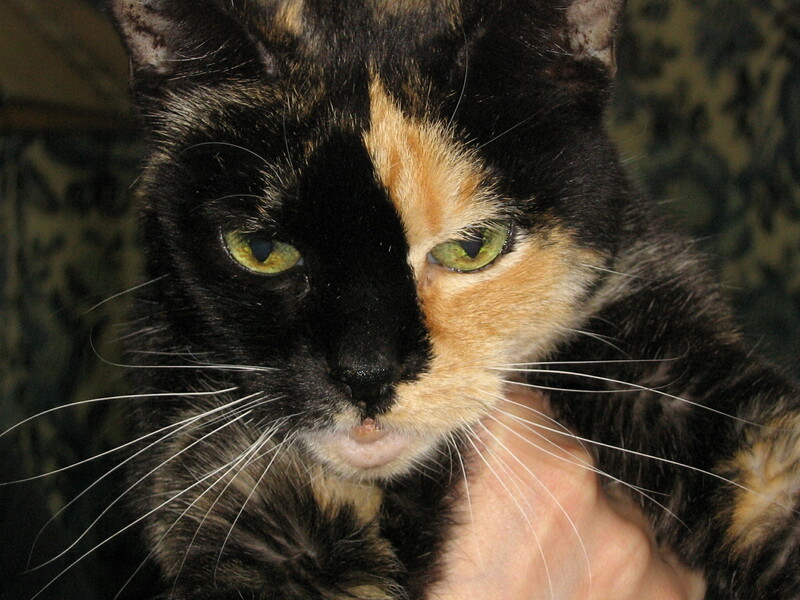 Listen, I’m still haunted by the death of my cat Pheefers and she died three years ago. She got the best possible veterinary care and she still died too young. She endured like a little saint. Every night, my husband and I light a candle in her memory and for all the pets our friends have lost. Can you image what I’d be like at the death of my first sheep? Better to leave the shepherding to others. I don’t know how they do it. But they can do it, and I know I can’t. Not long ago, I was at a llama 4H event with my cousin. Llamas are stately, elegant, beautiful and the spinning is fine. Unlike me, my cousin lives in a rural area and could probably have farm animals. She had never seen a llama up close. “Wow,” she said, “wouldn’t it be great. . . ?” She trailed off. I knew what she was thinking. “Yep,” I agreed. “It sure would.” Except for one thing.